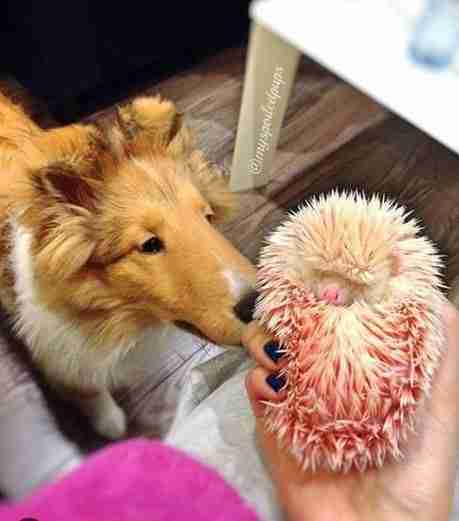 Jacqueline Law couldn't say no to a pink hedgehog. Not because of the unearthly hue of his coat. But because the animal's previous owner had cruelly dyed him that color. 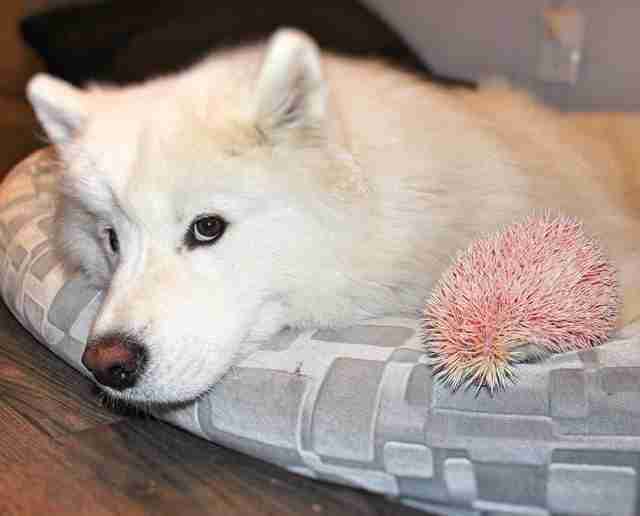 And when she saw the online ad trying to get rid of him, she knew the hedgehog needed to get out of that situation fast. The ad touted Floyd as a "rare pink albino." "It just seemed they got bored of him - the novelty wore off," Law told The Dodo. But not the dye. 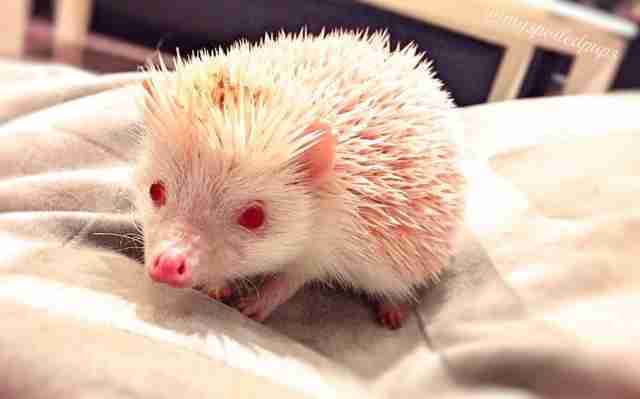 It was poodle dye, Law says, noting it can be toxic for hedgehogs. And didn't fade. 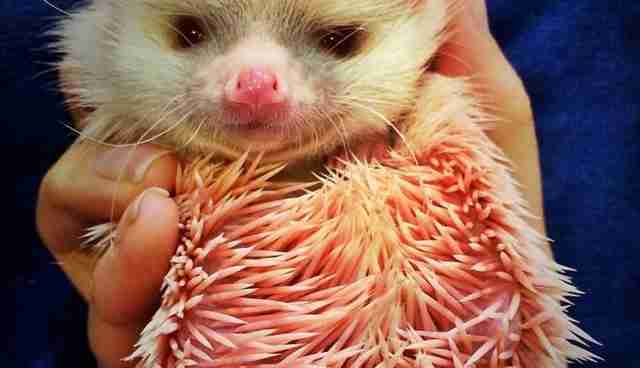 At first, Law, who's a member of the Hedgehog Welfare Society on Facebook, aimed only to keep Floyd until she could find him a good home. But as she grew more attached to Floyd - and thinking that he might still end up a novelty pet due to his bizarre color - Law decided the best way to keep him safe would be to keep him forever. Over time, Floyd's pinkness never faded - but his spirit grew even more vibrant. "He's pretty outgoing, but he is a biter," she explains. "If you're doing something he doesn't like, such as nail trims, he won't hesitate to nip you." Indeed, Floyd's ongoing adventures and surprising bond with Law's dogs are chronicled on Instagram. At two-and-a-half years old, Floyd has grown up to be "a very sweet and active hedgehog" - minus a nip of protest from time to time. But if Law is hoping Floyd sets an example, it's more like an anti-example. 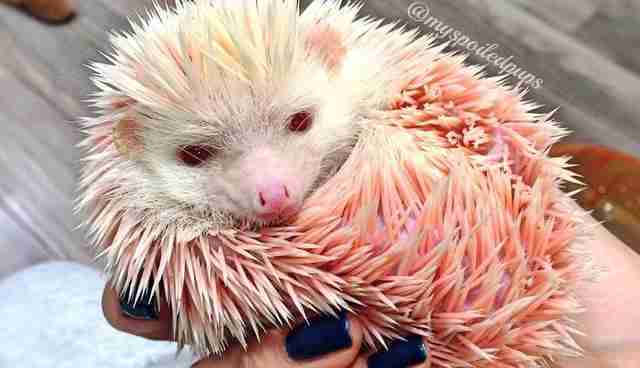 "I don't want people going out buying hedgehogs and dying them all sorts of colors for entertainment," she says. "He was in bad shape so I would never want another animal going through something like that." Even better, click here to find out what you can do if you see animal cruelty on the internet.